We have been researching other photographers, artists and writers that focus on travel and ideas of ‘place’ in their work. Recently, we came across the work of Edward Mooney, an Irish photographer and blogger, who blogs at http://edmooneyphoto.wordpress.com/. We fell in love with his beautiful atmospheric imagery of old ruins and castles in Ireland. 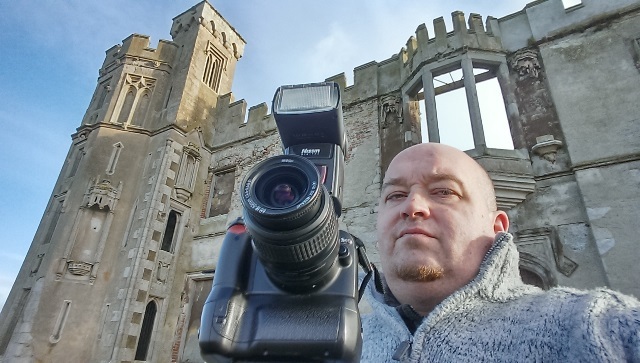 Edward has been a keen photographer for the last 5 years and is now concentrating on combining his passion for photography with his interest in history, old ruins, folklore and mythology. Edward spends a lot of his free time travelling around the Irish countryside in search of his next adventure, which he fondly refers to as “Ruin-hunting”. Sounds terrible, doesn’t it! I have always had a deep interest in the fascinating history and lore associated with Ireland, sometimes sprinkled with a pinch of the arcane for good measure. With much of my current work I get a chance to merge these interests into my images. When I explore many of these ancient sites, I feel like I am entering another realm. The Realm of the Past so to speak. Another aspect of Edward’s site we love, is his wonderful collection of interactive ruins maps, which has some synergies with our other ongoing creative project Geokult. The maps are composed in Google Earth and most of the map pins feature a photograph of the site by Edward. This is an ongoing project which is being continually expanded to include Edwards discoveries of new ruins and significant sites. We are certainly inspired to go and see some of these magical places for ourselves one day. He has awesome black and white photography works and he has inspired me to start taking the bw photos again 😉 Good choice! Great write up on one of the best castle photographers I know besides myself. Congrats Ed ! (I can just hear the Castle of Dromore in the back of my mind !) Nice. Thanks Evelyn for your kind words. I will drop by and check out your blog.